Ohh that's really smart. Suits you Sir. Good job .... very neat. Lovely bike Should fit neatly. My Nemo arrives tomorrow so will be spending some tinkering time over the weekend fitting. 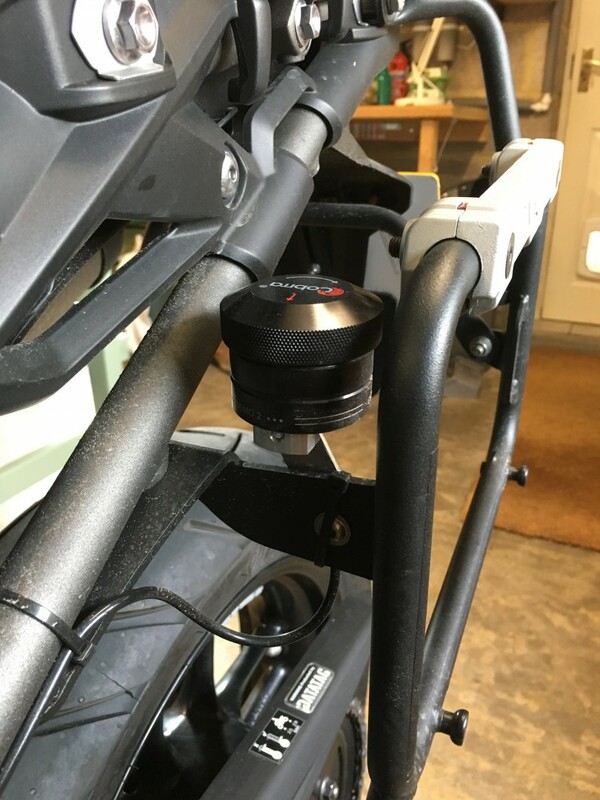 Just bought a Cobra Nemo 2 chain oiler and i'm struggling to see how to mount the dispensing arm down near the rear sprocket and chain (2017 Tiger XR). 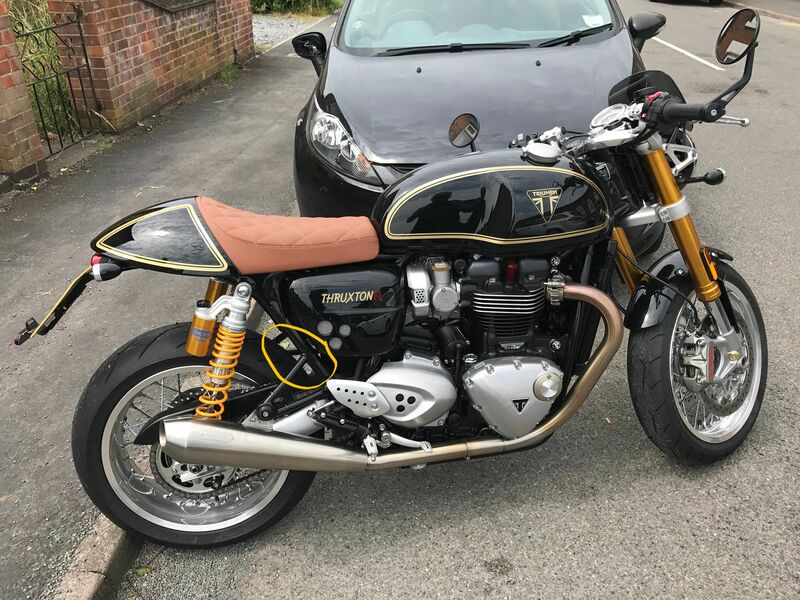 Has anyone got some pics or info please. Photos of my attachment. The 1st two are straight after fitting, the 3rd is after is got dirty. I used the two bolts holding the lower chain guard and a twisted marine grade SS wire to complete the triangle and keep if firm. 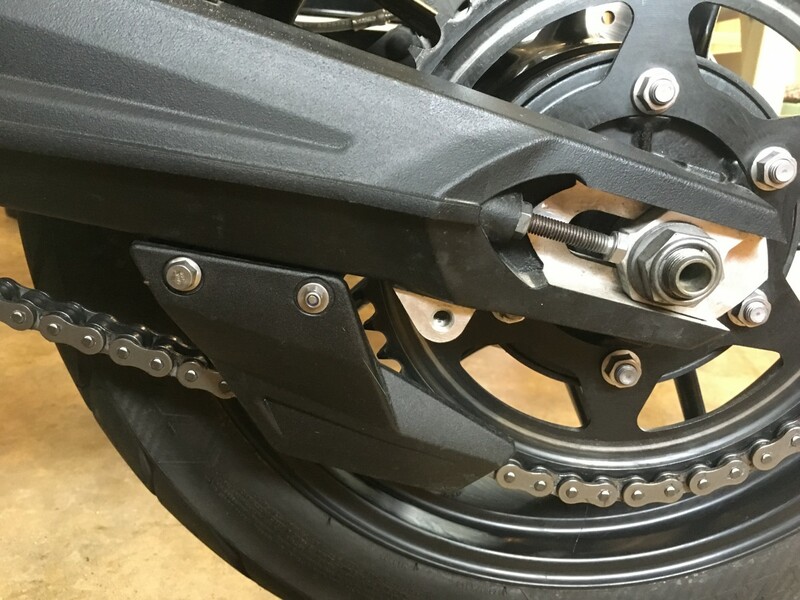 The U channel is glued to another strip of metal to match the chain guard bolt spacing. It works well and is out of the way. If the chain rubbing strip needs replacing then I will have to detach it probably and refit. Don't let the pipe get too close to the cog otherwise it will get eaten! Bought from an inmate here. Have it mounted off the left fork top pinch bolts. I've altered the applicator end to make the tip - which wears, easily replaceable. Possibly the best oiler I've ever used. Does it require any cutting into pipes? For the pressure?.. Not been of the technical ilk I would like something simple to fit. No external connections needed. The pressure comes from screwing the nemo cap down further (1/4 turn at a time). Very simple. Just do that every 150'ish miles and job done. 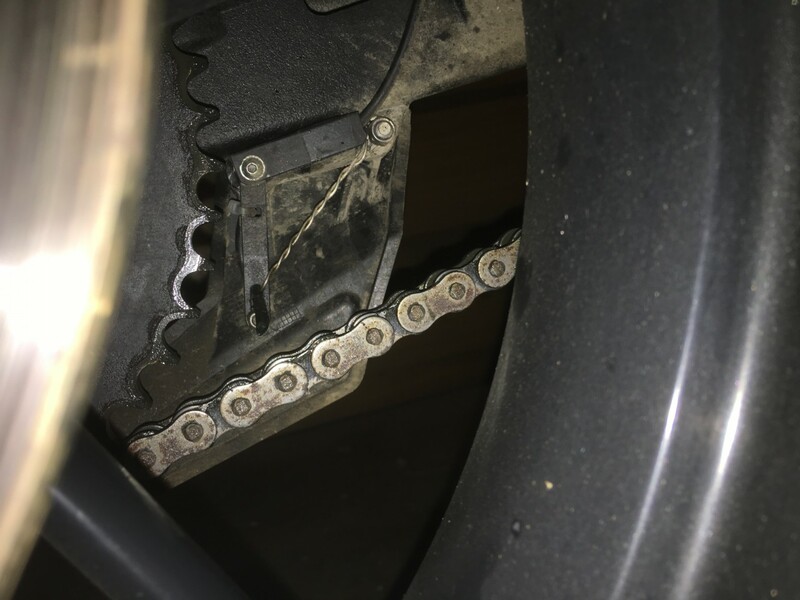 Take it slowly for a few minutes to allow oil to get onto the chain and not fly off.